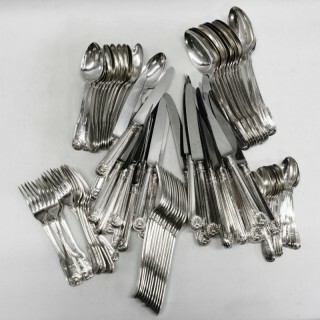 Biography – Eley and Fern (Fearne) and Chawner, London silversmiths and manufacturers of silver flatware. William Eley, apprenticed to William Fern 1770, free 1778. 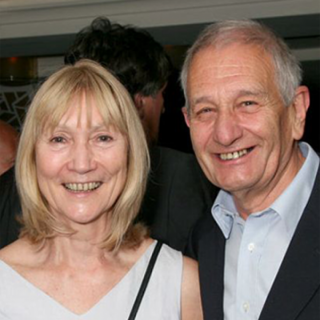 Mark entered as spoonmaker 1777, in partnership with George Pierrepoint. 2nd and 3rd marks alone as spoonmaker 1778. Took out patent for “Eley’s New Constructed Buckles” 1784. 4th, 5th and 6th marks as bucklemaker 1785/90/95. 7th and 8th marks in partnership with William Fern 1797. 9th mark, in new partnership, with William Chawner 1808. 10th mark, in partnership alone with Fern 1814. Died 1824. William Fern apprenticed to William Chawner 1762, free 1770. 1st mark entered as smallworker 1769. 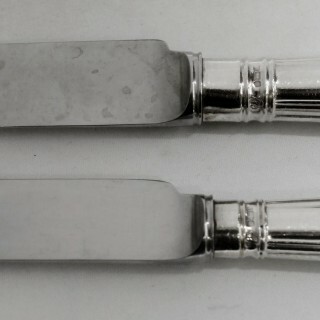 2nd mark as spoonmaker 1774. 3rd mark, in partnership with George Smith as plateworkers 1786. 4th and 5th marks, in partnership with William Eley, 1797/1802. 6th mark with William Eley and William Chawner 1808. 7th, with Eley alone, 1814. 8th with William Eley II 1824. 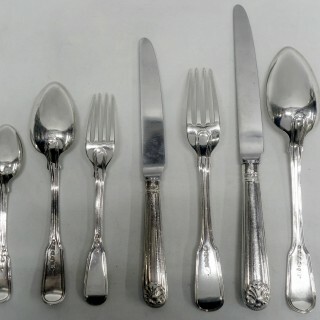 This impressive set of sterling silver cutlery is in very good condition with no damage or restoration. 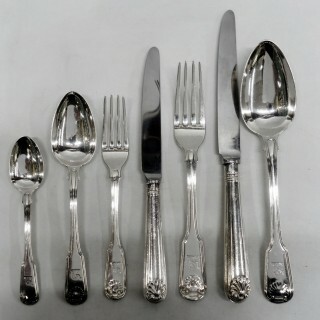 All the flatware is the same date 1812 and maker Eley Fearn & Chawner except the dessert forks which are 1815 and have no makers mark. 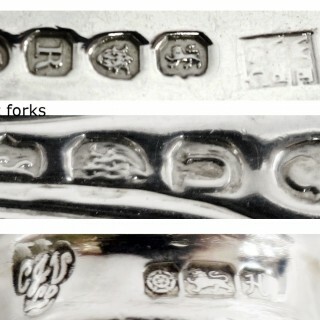 All have a full set of English silver hallmarks, some rubbed. 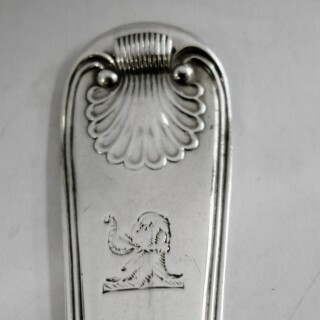 Flatware all with an elephant crest. 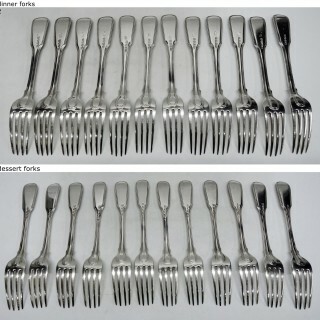 The fork prongs are slightly worn.